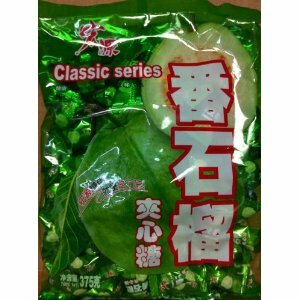 Prize - A nice bag of guava candy! This stuff, although not the full 5 lbs. I'll only send about half a pound your way. Delicious stuff. I'm a seafood dieter - I see food, I eat food. I love just about anything but chocolate is my downfall. What's yours? My favorite is something I didn't have to cook. Or Baklava. Or Chocolate. My favorite food is a nice juice las vegas steak or some good ribs! My husband gets it for me when I'm feeling down, or stressed, or just to be nice. Costs the same as a box of chocolates, but tastes soooo much better. I love gnocchi alla pesto! Absolute favorite is stuffed shells in arabbiatta sauce. Yum. Ice cream. Also popcorn. And chocolate goes without saying.